(1) My title intentionally echoes one in Foreign Policy magazine from Summer 1980, "Dateline Syria: Fin de Régime?" Yes, I know: Stanley F. Reed III jumped the gun by (at least) 31 years but that does not deter me from repeating his quasi-prediction of the Assad demise. (2) Contradictory Iranian and Turkish advice to Assad foreshadows the larger differences ahead between the two Islamist powers. Whereas the Iranians counseled Assad violently to repress the protesters and actually helped him do so, Recep Tayyip Erdoğan advised Assad that "responding to the people's years-old demands positively, with a reformist approach, would help Syria overcome the problems more easily." He even got into details: one newspaper report indicates he told the Syrians "to increase the effectiveness of public services, ensure a more transparent economy and public tendering process and restrain the security forces." (Those are not exactly the priorities I would stress.) Contradictory Iranian and Turkish tactics point to looming tensions between the Islamist 1.0 and 2.0 regimes. (3) The Assad government insists that the street protestors are Salafis, or violent Islamists, and that it is protecting the country from them. As one pro-government politician put it, the regime cannot permit "some people announce a Salafi emirate in Dara'a. This is not Afghanistan." Salafis and other Islamists are indeed a great danger in the Middle East but, as in Libya, they are far from the mainstay of the opposition. We thought we could open up that very closed world a very little bit. ... The piece was not meant in any way to be a referendum on the al-Assad regime. It was a profile of the first lady. ... For our readers it's a way of opening a window into this world a little bit. Rana Kabbani, Syrian-born wife of Patrick Seale, Syrian apologist. The entrenched and Assad regime is viewed by so many Syrians as an internal colonialism that, much like the external colonialism of the past, has robbed them and bombed them and impeded them from joining the free peoples of the world. President Bashar al-Assad is increasingly relying on his Alawite power base to crush pro-democracy protests that have posed the boldest challenge to the Assad family's 41 years of rule over Syria. Assad, an Alawite, sent army and secret police units dominated by officers from the same minority sect, an offshoot of Shi'ite Islam, into mainly Sunni urban centers to crush demonstrations calling for his removal for the last six weeks. Their use of tanks to shell the city of Deraa last week, storming of mosques and attacks on unarmed civilians—as reported by residents and activists—have raised the stakes. Reports say that Sunni conscripts, Syria's majority sect, refused to fire at their co-religionists. Witnesses said authorities have begun to arm villages in the Alawite Mountains overlooking the mixed coastal cities of Latakia, Banias and Tartous, where Alawites who descended from there were employed in the government and security apparatus, marginalizing traditional Sunni communities. Gunmen loyal to Assad, known as 'shabbiha', have rampaged in Banias and Latakia to scare demonstrators, killing at least six civilians in a sectarian-driven attacks, residents said. "I was driving with my wife and children through the Alawite Mountains over Banias and road blocks appeared in almost every Alawite village. Villagers were carrying brand new AK-47s," said a Syrian Christian engineer, whose community has stayed on the sidelines during the unrest. 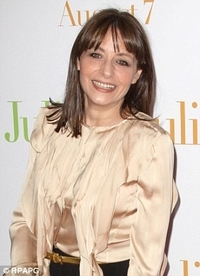 Joan Juliet Buck, distinguished author. Anas al-Shughri, a protest leader in mostly Sunni Banias, said armed Alawite villagers in the hills overlooking the restive city have been loosely grouped into loyalist militias. "I regret to say that the propaganda that Assad is spreading that the Alawites will not survive if he is toppled is receiving an audience among our Alawite neighbors," Shughri said. A report by the Arab Center for Research and Policy Studies, which is headquartered in Doha, said sectarian "agitation has reached an advanced stage in mixed areas" but that Syrians in general have not fallen for it. "There is no dispute that the 'shabbiha' are semi-criminal gangs composed of thugs close to the regime," it said. Syria's leadership was exploring "the importance of the sectarian factor and how to use it to confront the mass demonstrations [for] freedom and dignity." Comment: For the fifteen year period that I worked intensively on Syria, 1985-2000, I emphasized this sectarian divide. See in particular two of my studies from then: "The Alawi Capture of Power in Syria" (1989), which explains how a small and historically weak community reached the top and "Syria After Asad" (1987), which predicted the ethnic divide now coming into sight. The glamor picture introducing Vogue's story on Asma, the "rose in the desert." The campaign carries risks for a secular government that has fought repeated, violent battles with Islamists in the past, most notably in 1982, when Mr. Assad's father, Hafez al-Assad, razed the city of Hama while confronting the Muslim Brotherhood, killing tens of thousands of people. For the moment there has been no visible domestic backlash, but one cleric, who said he was dismissed without being given a reason two years ago, suggested that could change. "The Islamists now have a strong argument that the regime is antagonizing the Muslims," he said. Apr. 26, 2012 update: Joan Juliet Buck, the author of the Vogue article, "Asma al-Assad: A Rose in the Desert" now informs us that "It is horrifying to have been near people like that" and implies that the Assad children she saw did not appeared in Vogue, presumably were posed for security purposes. Comment: So, Buck is either a mercenary or a liar – not a pleasant choice. Apr. 26, 2014 update: At some point in the past year, Vogue finally got embarrassed by its despicable "Rose in the Desert" article. But, rather than do the honorable thing and acknowledge its error, it quietly caused it to disappear from the website. Fin de Régime in Syria?